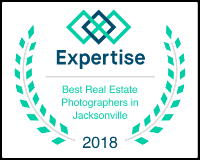 Catch up with Mike Liddell and learn about why you should hire a professional photographer, how to take better Real Estate photos, and how to edit them. We've all been there, you get a new listing and go to the home to take some photos for the MLS. You pull out your cellphone and snap a few pics, go to look at them, and the photos tell you nothing about the room you were in. The photos are dark, grainy, and you barely see any of the room. Today we're going to go through a few steps to make these photos look better and hopefully get more views on your listings. Professional interior photographers shoot with very wide angle lenses, much wider than the lens on your phone. To give you an idea just how much wider, many photographers shoot at 15mm when most cellphones have a field of view of around 30mm. Compare these two photos taken with a cellphone and with a DSLR with a wide angle lens. 1. Stand as far back in a corner as you can. Sometimes you can take a photo from standing just outside the door. 2. Try using the panorama feature if you have it. 3. Use a wide angle lens adapter. Some companies make wide angle lens adapters for cell phones that clip over your phone's camera lens. When you take a photo with your camera at an angle, the vertical lines in the photo will be bowed in or out. This can make the house appear to be caving in on itself. Or look like the house is about to fall over. The solution to this problem is to make sure that your camera lens is perfectly parallel with the floor. If you take a photo of a dark room with bright windows and let the camera do the thinking, it will try to balance the light coming in through the windows with ambient light in the room. What you want to do is tell the camera to forget about the windows, and expose just for the room. What you're looking for is something called "Exposure Compensation" or "Exposure Value" sometimes abbreviated to EV, the symbol looks like this. Then you're going to want to play around with the settings, set up your shot and snap a pic, if the picture looks too dark, try raising the exposure value and take another picture, it should be brighter. Keep raising it until you're happy with the results. Staging is often overlooked when taking real estate photos but makes a huge difference. Try your best to de-clutter the room before you photograph it, magazines laying on tables, power cords going across the ground, dirty dishes by the sink. These things subconsciously make the house look like it's going to be a chore living there. Don't forget to always put the toilet seat down when shooting bathrooms as well. There are two common approaches to taking interior photos, HDR and Flash. Let's talk a little about each one. Dynamic range is the difference between the lightest light and darkest dark which can be seen in a photo. Once your subject exceeds the camera's dynamic range, the highlights wash out to white, or the darks become black blobs. Typically with an HDR photo, the camera will take multiple images with different exposure values; one overexposed, one underexposed, and one properly exposed, then you combine them together to create an "HDR" image. From the overexposed image it will bring in detail from the shadows, and from the underexposed image it will bring in detail in the highlights. Here's the same picture from above after combining it with multiple exposures. HDR gets a bad rap by many photographers, it can look unrealistic or cartoonish if done incorrectly, here's an example of bad, tonemapped HDR. I never use tonemapped HDR in any of my photography, instead I use what's called "Exposure Fusion" but we're not going to get into the difference between the two today. The biggest issue that arises with HDR, is when you have a mixture of different color temperatures. Sometimes you'll have daylight coming in through the windows, incandescent light from light fixtures, overhead fluorescent lights, and balancing them all out can be difficult. Check out these images below, in the first one, the kitchen has proper white balance, but the living room has a blue tint from the sunlight coming in through the windows. In the second image, the living room is correct but the kitchen is way too warm. Using off-camera flash is the preferred method of many Real Estate photographers, but it's usually more time consuming on-location. Although it usually takes more time to set up flashes and get a good image in camera, post processing for flash photography is almost always faster than processing an HDR image. When using flash, the objective is to match the light inside of the room with the light coming in from the windows, so you get a nice bright interior and a clear view outside. One of the challenges that comes with using flash is lighting the entire scene. Take the image below for example, the kitchen is properly lit with a flash off to camera-right, but the living room is too dark. To fix this issue, you can use another flash in the living room and fire both flashes at the same time, or if you only own one flash, move the flash and take a second picture and combine the two in Photoshop. Here's the second photo with the flash only firing in the living room. And here's the two flashes combined.